Following the opening of the Brooklands Motor Circuit, the Brooklands Automobile Racing Club (BARC) offered a prize of £2,500 to the first aviator to complete a lap of the circuit before the end of the year. This attracted Alliot Verdon Roe, a pioneer aviator who had already achieved some success with scale models, to build a shed on the Finishing Straight of the circuit to construct his Roe 1 Biplane. 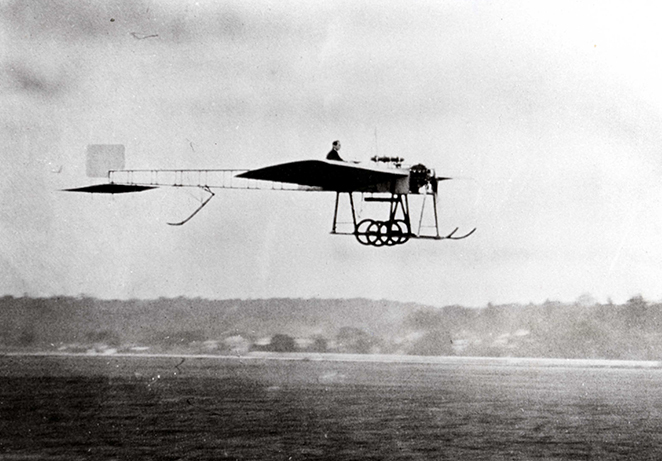 Roe conducted a number of trials on the track before becoming the first man to fly at Brooklands in June 1908. In 1909 the BARC cleared the land in the centre of the track to create one of Britain’s first aerodromes. This led to the creation of what became known as the ‘Flying Village’ in a series of wooden sheds at the western end of the Brooklands track. It housed many of the greatest pioneers of British aviation from 1910 to the outbreak of the First World War, establishing aircraft manufacturers such as Sopwith and Martinsyde. 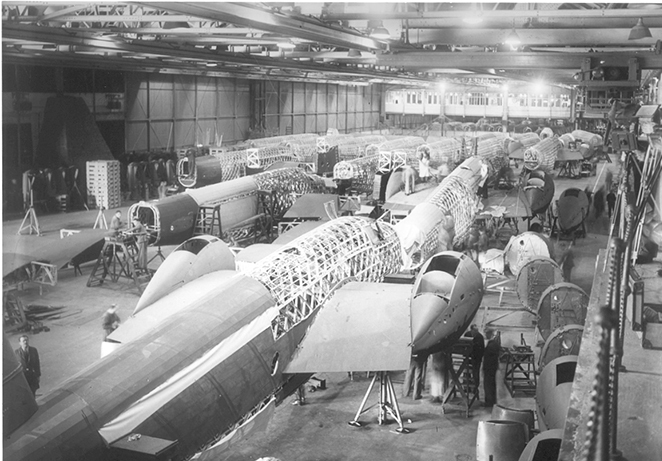 As aviation grew more popular, Brooklands became a centre for pilot training with several flying schools setting up in the Flying Village. By the outbreak of the First World War, the 14 Flying Schools that operated at Brooklands had trained more pilots than anywhere else in the UK. 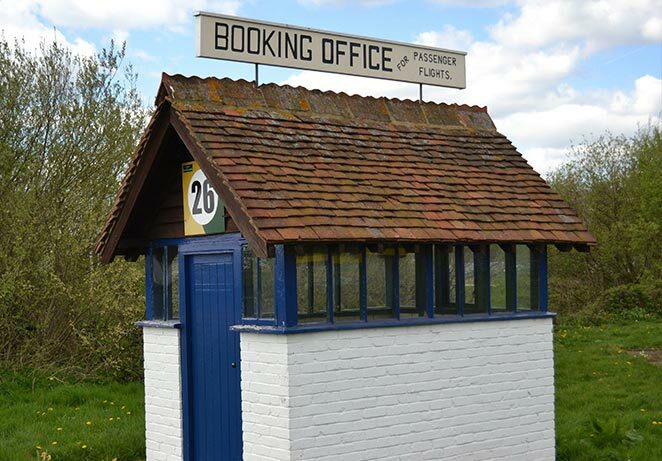 In 1911 the world’s first Flight Ticket Office was built to offer recreational flights to members of the public. 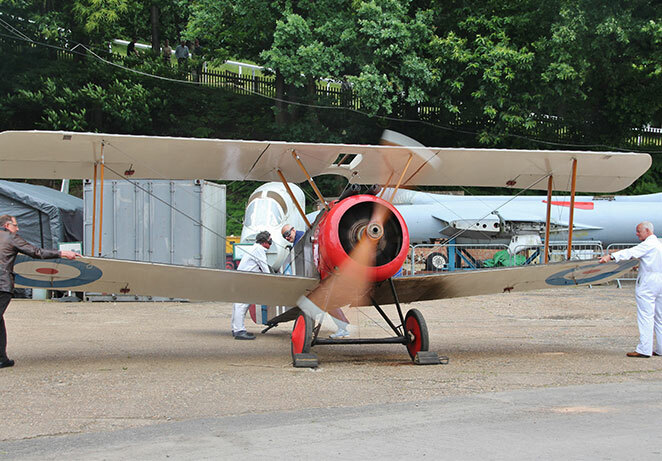 On 28th May 1932, the new Brooklands Aero Clubhouse was officially opened and coincided with a very impressive flying display organised by Brooklands Aviation Ltd, set up in 1931 to manage the aerodrome, and the Guild of Air Pilots and Air Navigators. 'Air & Airways' magazine promoted the event as 'England's Greatest Civil Air Display' adding that it would feature aerobatics by the Royal Air Force, high speed pylon racing, parachute descents and 'stunt flying'! Special guests included three notable world record-breaking pilots Amelia Earhart, Amy Johnson and Jim Mollison - all of whom were major celebrities at the time. More recently known as The Control Tower, the distinctive 'art deco' influenced Clubhouse was designed by a young Scottish architect named Graham R Dawbarn (1893-1976), who founded leading airport architects Norman, Muntz and Dawbarn in 1932 and whose work included large terminal buildings in similar 'Minimalist style' at Birmingham and Jersey airports later that decade. Dawbarn also designed (in the shape of a question mark) the BBC Television Centre officially opened at White City in West London in 1960 which was later Listed but sadly closed in 2013 and is now being redeveloped for commercial and residential use.